Who would have guessed a few years ago that through my projects on the internet I would interact with people around the world? Certainly not me! Through these exchanges I even developed many friendships in France! We are all very busy with our own things but through these exchanges we often discover new ideas, new techniques. That stimulates creativity and it drives us to excel. Through it all, it is the children who benefit. 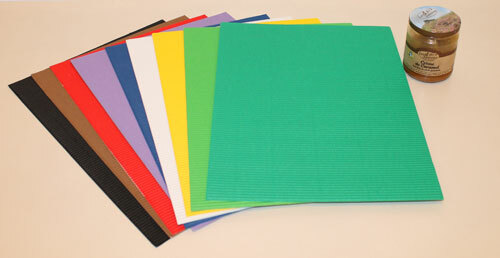 I had been trying for a long time to find sheets of coloured corrugated coloured paper for a specific project. After searching many art and crafts shops, I hadn’t been able find them in Canada. Then Maryse, who lives in Nantes (France), came to my rescue! She has a good friend whose parents live near the village where I grew up in Belgium and as I was going there at the beginning of the summer, she arranged for the package of corrugated paper to be ready for me in Belgium! 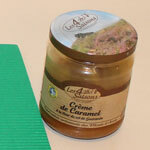 And there was a bonus … a container of caramel cream “fleur de sel Guerande”! I can tell you that it’s delicious on pancakes! 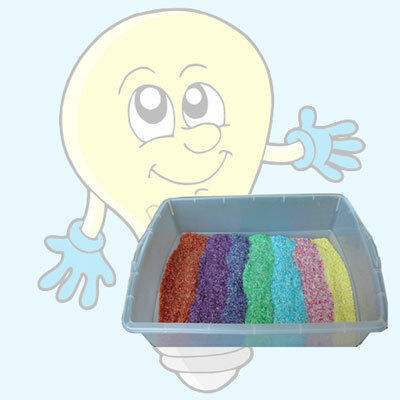 For my part, I prepared cardboard bowls that Maryse cannot find in France …. and other surprises. I can not reveal them to you because I don’t want to spoil the surprise if she reads this article!